Golden Hour didn’t deserve album of the year. There were many other great options. GH is too basic. Do you agree? Well-deserved. It's breakthrough album, in terms of mixing LGBT support, disco, rock and country music. nope. she deserved it. she was the favorite, and had the highest metacritic score (a whooping 89/100). the people that knows about GOOD music disagree! Brandi and Janelle both deserved it way more. But looking at the iTunes charts, it seems like America preferred Brandi to Kacey regardless of who won the paperweight. It was a kinda weak field, so someone had to win I guess. Dirty Computer was probably the best pick. it was pretty much the top choice as album of the year at every year end list in December by all top publications. 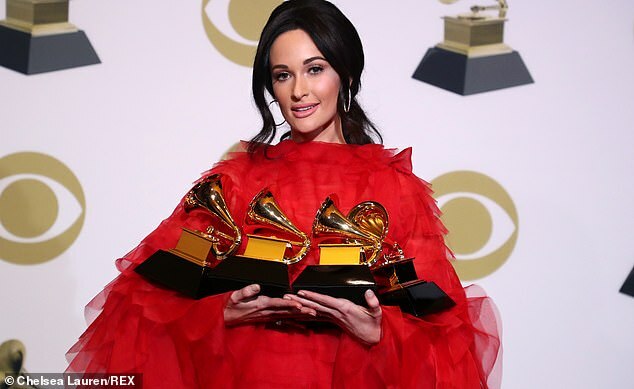 Kacey DID, however, deserve to win Album of the Year for Same Trailer Different Park the year that Daft Punk did. She was ROBBED. Buttterflies deserved ROTY. So you'd rather have garbage like Beerbongs and Bentleys win over Golden Slayage? the lack of taste..